Did you know that watermelon was first harvested in Egypt 5,000 years ago? Or that there are 1,200 varieties of watermelon grown in 96 countries? Or that by weight, watermelon is the most consumed melon in the United States? And that early explorers used watermelons as canteens? Watermelons are the perfect summer fruit! So juicy and refreshing on a hot summer day. 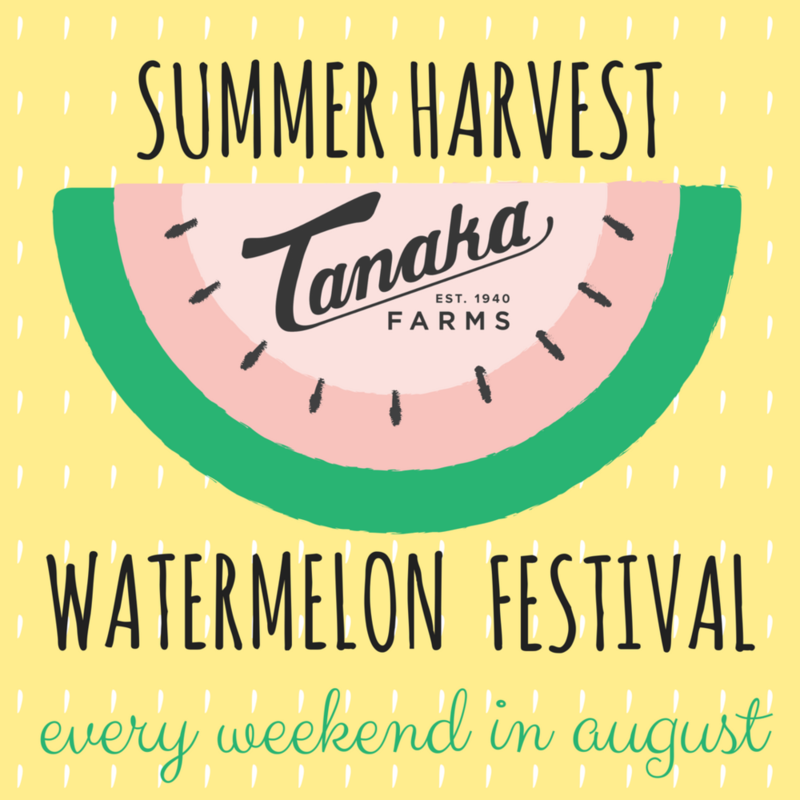 Come celebrate the melon here at Tanaka Farms, and enjoy a day with lots of food, drink, games, crafts, samples, face-painting, vendors, ATV rides, wagon rides and more!